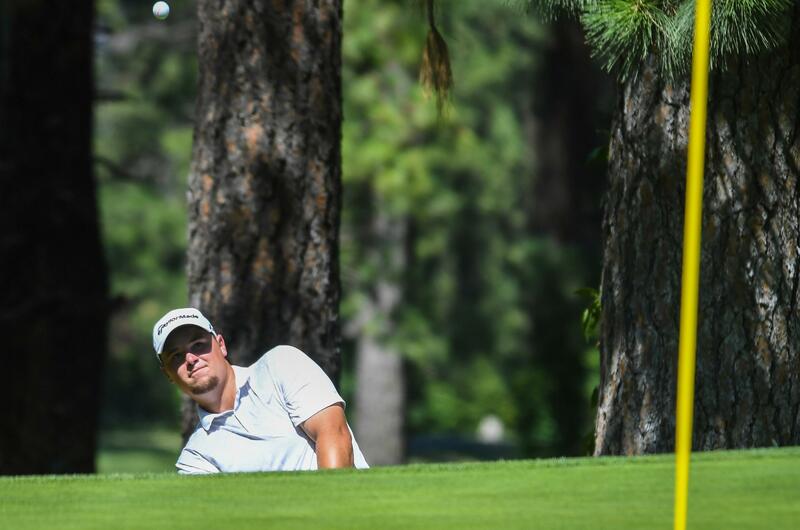 Spokane’s Eric Ansett and Hayden Lake’s Reid Hatley will represent the Washington State Golf Association (WSGA) at the Morse Cup team competition, which takes place concurrently with the Pacific Coast Amateur. They’re joined on Washington’s team by Lakewood’s Joe Highsmith, the 2017 State 4A champion who is bound for Pepperdine. Former Lakeland High and Washington State University product Derek Bayley is joined by Texas A&M’s Josh Gliege and Oregon State commit Carson Barry on Idaho’s team. All Morse Cup competitors are in the strong 90-player field for Pacific Coast Amateur, a 72-hole, stroke-play event that runs Tuesday through Friday at The Olympic Club. The Morse Cup is Tuesday and Wednesday with teams counting their top two scores. Ansett, a graduate of The Oaks Academy who played for Ferris High, recently earned a berth in the U.S. Amateur as medalist at a qualifier in Decatur, Alabama. The Lipscomb University graduate finished third at the Southern Amateur last weekend. Hatley tied for sixth in the Mexican Amateur last month. He’s a three-time PNGA men’s Mid-Amateur Player of the Year (2015-2017). Bayley claimed his second Rosauers Open Invitational title earlier this month at Indian Canyon. He was the medalist at a U.S. Amateur qualifier at Palouse Ridge last week. Gliege, a former Idaho State 5A champion at Eagle High, is a junior at Texas A&M. Barry won the 2018 5A title as a senior at Rocky Mountain. Published: July 23, 2018, 3:01 p.m.